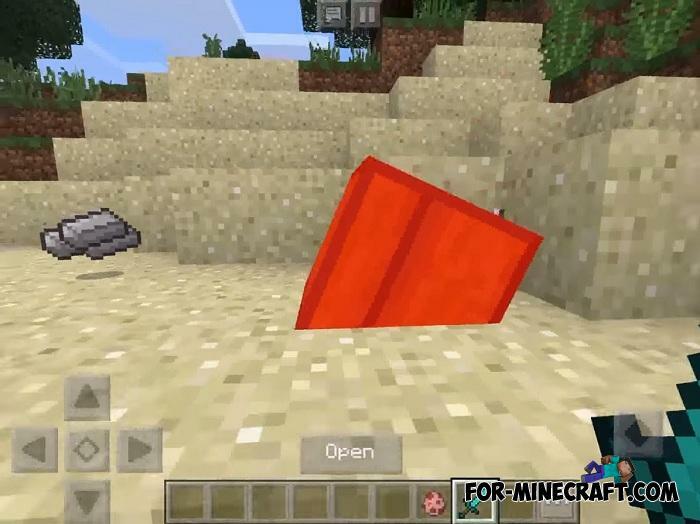 Survivors, this addon is best suited for you who spends a huge amount of strength and patience to independently mine, process and build, and most importantly survive. 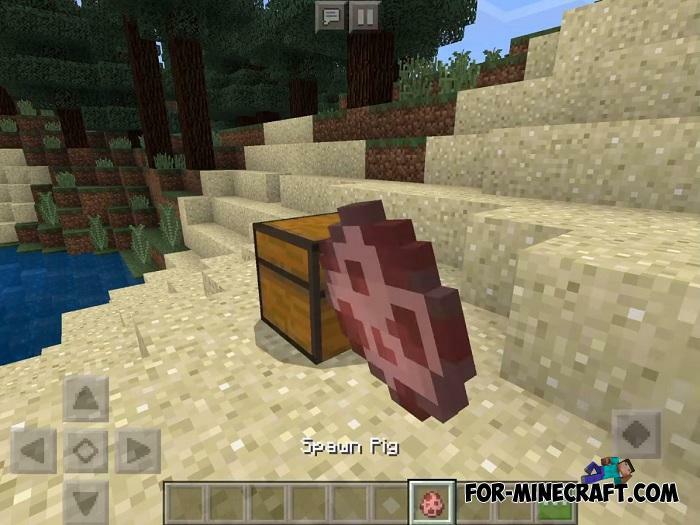 The Lucky Chest Addon replaces pigs with a more useful item that gives some things indispensable in survival. 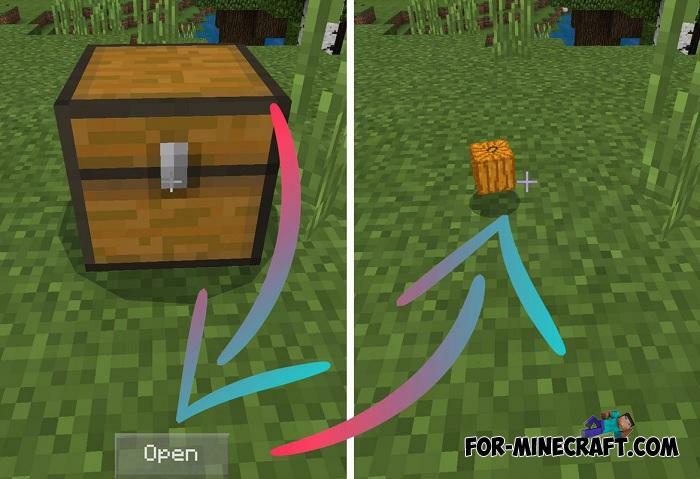 What is a lucky chest and how does it work? 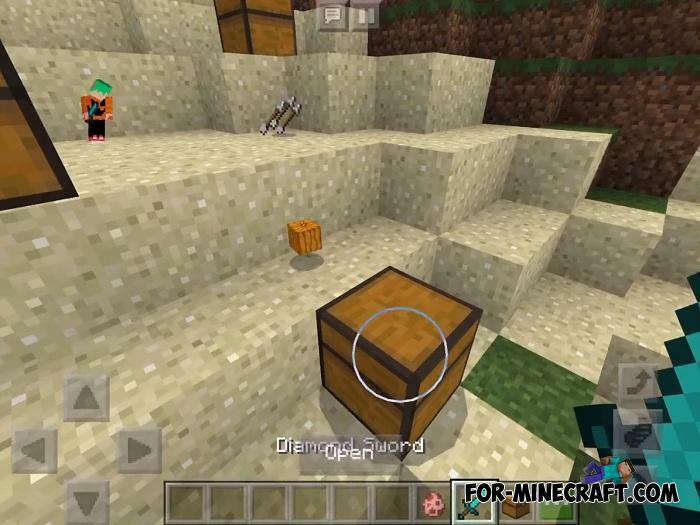 If you try to find an analogue of this addon, it may be a bonus chest. It appears next to you and contains a set of items that you will need in the future. The bonus chest is only in a single copy, unlike the lucky chest. It is always generated during the game and supplies items to the survivor. 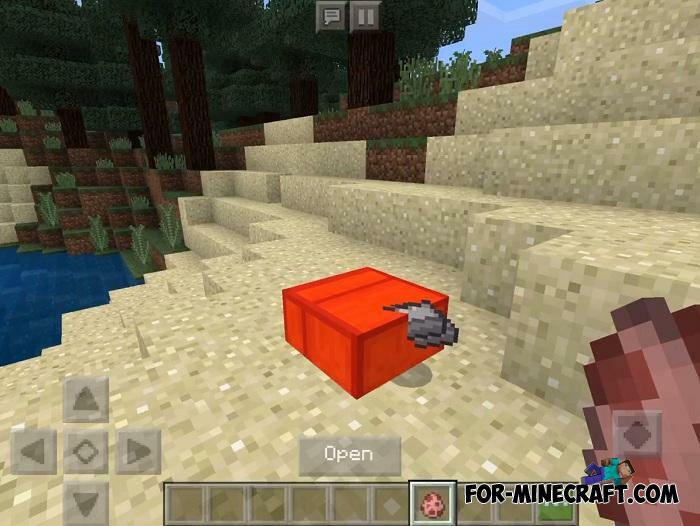 Mostly the chest stores iron ingots, planks and bricks, simple weapons and food. 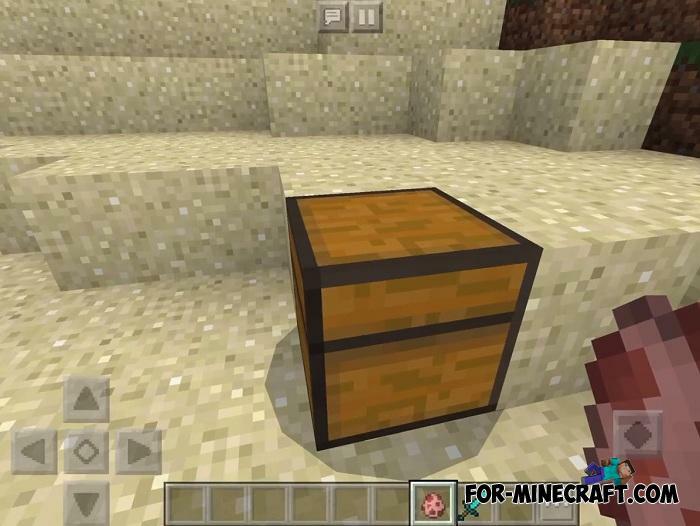 No jewels or something expensive and rare, the Lucky Chest Addon was created to make Minecraft PE a little easier to survive, but only a little bit. How to install the Lucky Chest Addon?